By Jan. 1, 2020, the U.S. Federal Aviation Administration (FAA) has mandated that airplanes flying in most of the controlled airspace must be equipped with Automatic Dependent Surveillance – Broadcast (ADS-B) Out, which identifies an aircraft and transmits direction, speed and location. This new regulation moves the aviation community closer to the FAA-led Next Generation Air Transportation System, or NEXTGEN, which aims to reduce the air transportation system’s reliance on point-to-point ground-based radar while making flights safer, more efficient and predictable. In the last several years, ADS-B, has achieved significant traction with Air Navigation Service Providers (ANSPs) and the worldwide aviation community. Compared to previous ground-based radar systems, ADS-B offers greater accuracy and consistency, lower costs and shared situational awareness. However, “traditional” ADS-B transmits to ground-based communication systems and lacks coverage over oceans and remote areas. This is where the space industry is stepping up to play a game-changing role in the next generation of aviation. So how has the satellite industry responded to this capability gap? Today, there are existing and proposed commercial space-based offerings. These will augment and or could soon replace some ground-based ADS-B. Various space-based system architectures and market entrants have emerged. The market for new space-based aircraft tracking and Air Traffic Services (ATS) surveillance is quickly developing and will eventually become a critical system element. As the final countdown continues toward FAA’s 2020 deadline, the aviation community is scrambling to ensure that their ADS-B Outequipment is fully vetted and operational. Before selecting a commercial service, which provides coverage over remote and oceanic areas, ANSPs must review and evaluate these new game changing satellite-based market entrants. With new space-based ADS-B systems operating now, such as Aireon’s ATS surveillance-level coverage, and other lower resolution tracking-level services entering the market, ANSP’s and the aviation community should maintain a current market knowledge of ADS-B performance, architecture and solution options. Market options may not be mutually exclusive. Rather, a range of complementary solution sets may exist — designed for different aircraft tracking and ATS surveillance purposes. There is a significant difference between tracking level of service and ATS surveillance level of service. Tracking-level services typically provides updates every 15 minutes. This is not adequate for preventing collision between aircraft traveling at high closing speeds, from opposite directions, up to 1,000 mph. Spire – Spire operates a fleet of Cubesats that perform a variety of missions. On July 16, 2018, four new LEMUR2 satellites were launched carrying Spire’s new AirSafe ADS-B payload. 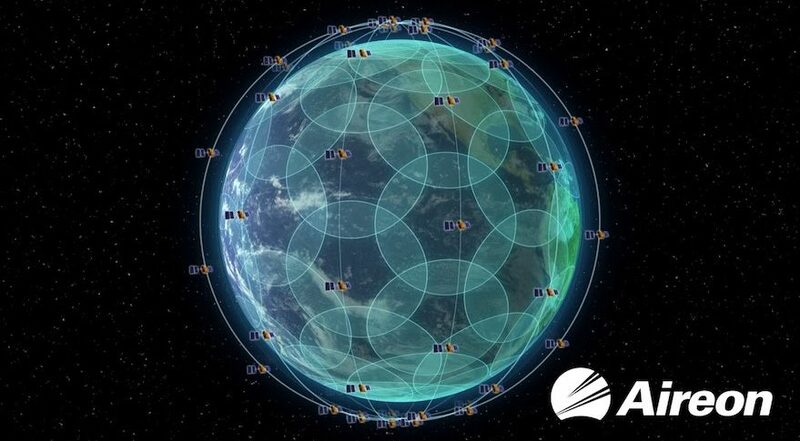 Spire’s goal is to achieve a global aircraft-tracking capability. However, Spire’s objective of global coverage and 15-minute update interval for tracking purposes will require many more satellites. Aerial & Maritime Ltd. – Aerial & Maritime intends to build a global NanoSat constellation capable of providing air traffic management and ship tracking services by 2021. While A&M appears capable of performing aircraft tracking, the company claims the NanoSat-based system will provide ATS surveillance level performance — although no performance data are available. It will be tremendously challenging for a nano sat constellation to meet stringent ATS surveillance requirements. Globalstar — Globalstar partnered with ADS-B Technologies (Anchorage, Alaska) which developed the ADS-B Link Augmentation System (ALAS). ALAS requires modification to the aircraft equipage – specifically integration of a special transceiver installed in ADS-B-equipped aircraft. The transceiver sends ADS-B information to Globalstar satellites. The data are then retransmitted to ground stations and then to ANSPs or other users. The ALAS signals are encrypted which provides added security. However, from a regulatory perspective, ALAS uplink and downlink frequencies are not protected by the International Telecommunication Union for safety-of-life applications. Therefore, ALAS cannot be relied on for ATS surveillance. Globalstar can only provide service to regions where a given satellite can be simultaneously connected to both a user and a ground station. This may prevent Globalstar from serving remote regions and oceans. Automatic Dependent Surveillance–Contract, or ADS-C, is essentially a communications technology that has been adapted for Aircraft tracking. ADS-C, in its current form, cannot be compared directly to ADS-B and cannot be used for ATS surveillance. Inmarsat PLC began offering this service in 1990. Iridium’s system also support ADS-C services. Surveillance-level services are required to provide an eight-second-or-better update interval at 96 percent confidence or above. ATS surveillance technologies, as defined by Procedures for Navigation Services, must provide near-instantaneous position information to ensure the safe separation of aircraft. The performance of ATS surveillance systems is strictly regulated through organizations such as the European Organization for Civil Aviation Equipment. Also, ATS surveillance system requirements have recently been updated to the Eurocontrol Generic Surveillance Safety Performance Requirements. In addition, ATS surveillance systems are required to have ALL system frequencies classified by the International Telecommunication Union with primary protection for safety-of-life applications. In addition to filling the gap over oceanic and remote areas, space-based ATS surveillance systems can provide a critical capability during heavy air traffic periods when there is an increased chance of Radio Frequency (RF) interference in congested non-remote areas. Aireon – Aireon is expected to meet ANSP ATS surveillance requirements (update interval, latency, availability, coverage) and can also offer lower-grade tracking services. Aireon has established “first mover” advantage and will begin offering service soon after successfully completing its launch campaign Jan. 11. Aireon benefits from the capabilities and economies of scale of the Iridium Next constellation by operating as a hosted payload. As a hosted payload, Aireon was able to build and deploy their service at a much-reduced cost. The Iridium Next constellation includes 66 operating satellites plus spares and several ground stations. Aireon also benefits from Iridium’s proven experience running a constellation with reliable, secure, low latency data routing. The Aireon system is compatible with existing aircraft equipage – which reduces the cost of aircraft implementation. Importantly, all frequencies used by Aireon and the host Iridium are International Telecommunication Union protected for safety-of-life applications. Frequent required update intervals (every eight seconds) for ATS surveillance drives the need for larger and more complex satellite systems. Whereas, aircraft tracking systems update intervals (several minutes) can be accomplished using cubesats, smallsats and/or “nanosats. The International Civil Aviation Organization (ICAO) requires ATS surveillance systems to maintain an availability greater than 99.9 percent (or 0.999). This requires a given space data transport network to achieve a challenging effective availability around 99.95 percent to meet this target. Low Earth orbit ADS-B surveillance systems must and can meet an ICAO two- second latency requirement at a stringent 99 percent confidence level. There are many elements in a space-based system, including the ground segment that can erode latency margin. Therefore, latency must be carefully considered with respect to the overall system design. Can cubesats and nanosats punch above their weight? ADS-B tracking applications using cubesats are currently being introduced to the market with some success. Cubesats typically use receivers with one to a few beams. While this may be adequate for ADS-B tracking-level performance, it is not adequate for ATS surveillance. A single beam can easily become saturated under high density air traffic situations. Also, the airspace coverage volume per cubesat will be relatively small. For example, about 1,452 single beam cubesats would be required for equivalent coverage to that of the Aireon LEO ADS-B space-based system, which operates as a hosted payload on 66 Iridium Next satellites. While deploying a mega-constellation of 1,452 LEO satellites with intersatellite links is possible, it is impractical from a cost, complexity and ultimately competitiveness perspective. Also, sustaining such a system will be difficult and costly. In moving toward global aircraft tracking and ATS surveillance, a space-based system has an advantage over traditional ground-based systems because it avoids the costly installation and maintenance of ground-based infrastructure. Space-based services can provide seamless, global coverage and will increase aircraft safety. The ATS surveillance capability will transform the manner in which ATS is provided for much of the world. In oceanic and remote areas, beyond the reach of ground based ATS surveillance, space-based ADS-B will enhance safety, improve efficiency, and allow for greater flight predictability and air traffic flow management. In locations where ground-based ATS surveillance is currently available, space-based ATS surveillance will fill in the gaps, provide a contingency layer and enable a rationalization of ground surveillance assets. Currently, Aireon, working as a hosted payload on the Iridium constellation, maintains “first mover” advantage for ATS surveillance-level services. There are no equivalent service offerings with protected “safety-of-life” spectrum, global coverage and operational satellites and ground systems. There are no other ATS surveillance entrants. It will take years, along with substantial investment, for another ATS surveillance offering, competitive to Aireon, to be available. However, the aircraft-tracking market will continue to evolve. Stakeholders should watch the market closely as existing providers expand their services and new market entrants may continue to emerge. Karl Baker is president and founder of Summit Space Corporation, an independent technical advisory that leads technical finance due diligence for large and complex commercial space projects. Summit Space advises the world’s largest investment banks for commercial space programs. Karl has over 30 years of experience in the space industry and has advised on space-based Air Traffic Service technology since 2010.